You may vaguely recall that in 2012 Congress "fixed" the Alternative Minimum Tax -- or what the Tax Policy Center dubbed "the epitome of pointless complexity." But that doesn't mean the so-called "wealth tax" was simplified or eliminated. The AMT is still alive and complicated. What lawmakers did was permanently tie the amount of income exempted from the AMT to inflation. Those income levels, however, are still fairly low ($52,800 for singles this year; $82,100 for married couples filing jointly). And the set of rules that governs what can and can't be deducted under the AMT means it's still hitting a fair number of people for whom it was never intended -- those in the middle class and upper middle class. 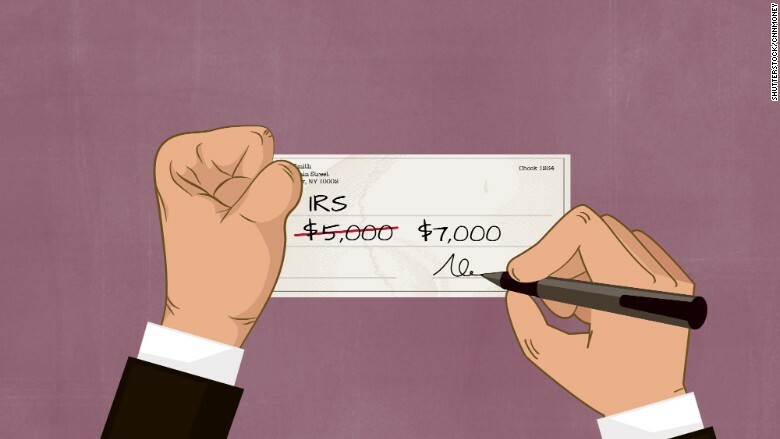 Figuring out whether you're in the AMT crosshairs means calculating your tax liability twice -- once under the rules of the regular income tax code, and once under the AMT rules. You must pay whichever is higher. While the AMT hits a much larger percentage of million-dollar households, those who earn less than $200,000 actually account for a much larger number of people who actually pay the alternative tax. This year, the Tax Policy Center estimates that 953,000 of households making between $50,000 and $200,000 will have to pay the AMT. By contrast, only 118,000 households making more than $1 million will be hit. When the AMT was created in 1969, it was over outrage that 155 households making over $200,000 at that time didn't end up owing any federal income tax. That $200,000 would be worth close to $1.3 million today. Many think it would make sense for lawmakers to either repeal the AMT altogether or to at least narrow its reach to just very high-income tax filers. But that means they'd need to find another source of revenue to compensate for the loss of the roughly $385 billion that the AMT is expected to raise over the next decade. You live in a high-tax state and city: You're not allowed to deduct state and local income taxes under the AMT even though you may do so under the regular code. That means those in New York and California among others are particularly vulnerable. You have a big family: Every child you have is a personal exemption on your 1040. Problem is, personal exemptions are disallowed under the AMT. These two reasons go a long way to explaining why the AMT is poorly targeted tax policy. "People don't have kids or live in a high-tax state because they're looking for a tax shelter," said Len Burman, executive director of the Tax Policy Center. It's also worth noting that despite the AMT, some uber-high-income households -- those making more than $1 million -- end up with zero federal income tax liability every year, according to the Center. So who is the AMT nabbing if not the $1 million-plus crowd? It hits about a third of households making between $200,000 and $500,000 and more than half of those earning between $500,000 and $1 million.